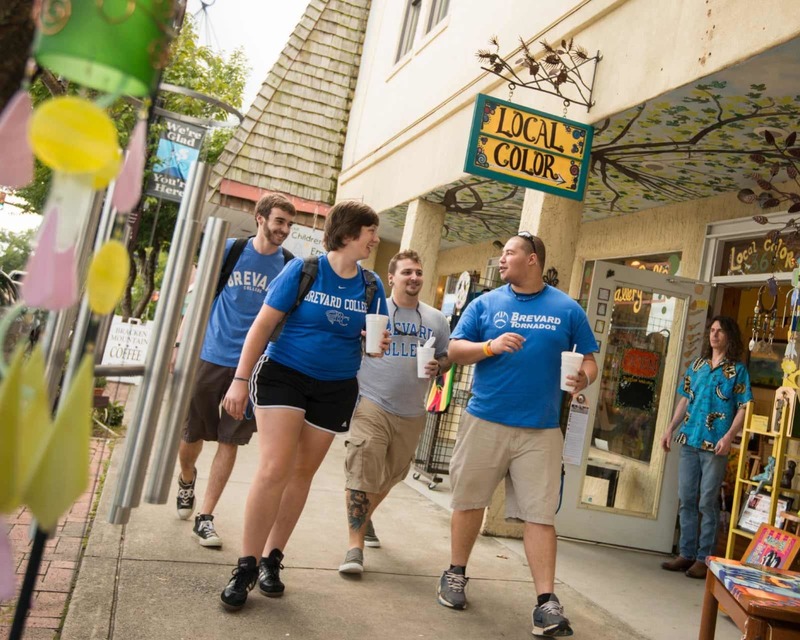 Brevard College’s Board of Visitors is encouraging local businesses and community members to show their BC spirit by wearing and displaying the College’s blue and white colors during Homecoming weekend, Oct. 25-27. Several hundred Brevard College alumni and friends will return to campus and town to celebrate the three-day event, which beginsFriday, Oct. 25 with the formal dedication of the College’s new Eleanor M. Robbins Student Plaza at 9:20 a.m. This year’s Homecoming activities will include the College’s annual Distinguished Alumni and Athletic Hall of Fame Dinner; Golden Club Luncheon for alumni who attended BC 50 or more years ago; and a special Homecoming Picnic prior to the College’s first-ever televised football game against Catawba College. Special reunion and alumni athletic events as well as walking tours of campus are planned for the weekend. The College Admissions Department will also host a Campus Visit Day from 11:30 a.m. to 4:30 p.m. on Saturday, Oct. 26 for prospective students and their families.